FIFA president Gianni Infantino has warned that any players who take part in a 16-team European Super League would be banned from the game including the World Cup. The threat of a breakaway league featuring Europe’s elite clubs and starting as early as 2021 has been revived as part of German magazine Der Spiegel’s publication of confidential documents in its ‘Football Leaks’ series. 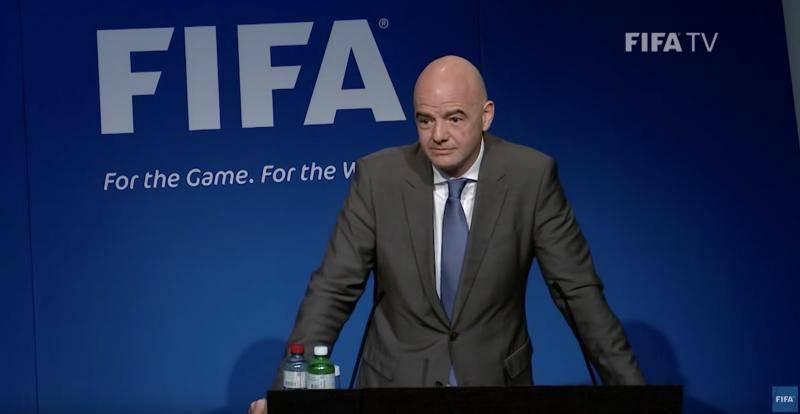 But Infantino says FIFA will punish those who quit the current status quo. Infantino is supported, on this issue at least, by his UEFA counterpart Aleksander Ceferin who has also denounced the concept of a breakaway league. His comments were echoed by FIFA’s new legal director Alasdair Bell who recently switched from UEFA. Critics of Infantino could argue that he is guilty of double standards given his own proposals for extended Club World featuring at least 12 European clubs in a 24-strong lineup. But he takes the opposite view, saying his pet project would give the clubs all the revenue they need without going down the road of an unrecognised closed league. “The Club World Cup is the answer to any attempt to even think about any sort of breakaway leagues,” he said. A FIFA task force with Infantino at the helm is considering whether to press ahead with the project, with a decision expected at the FIFA Council in March. Previous article The journey to the AFC U23 Championship Thailand 2020 Qualifiers has begun following the official draw ceremony at the AFC House on Wednesday.